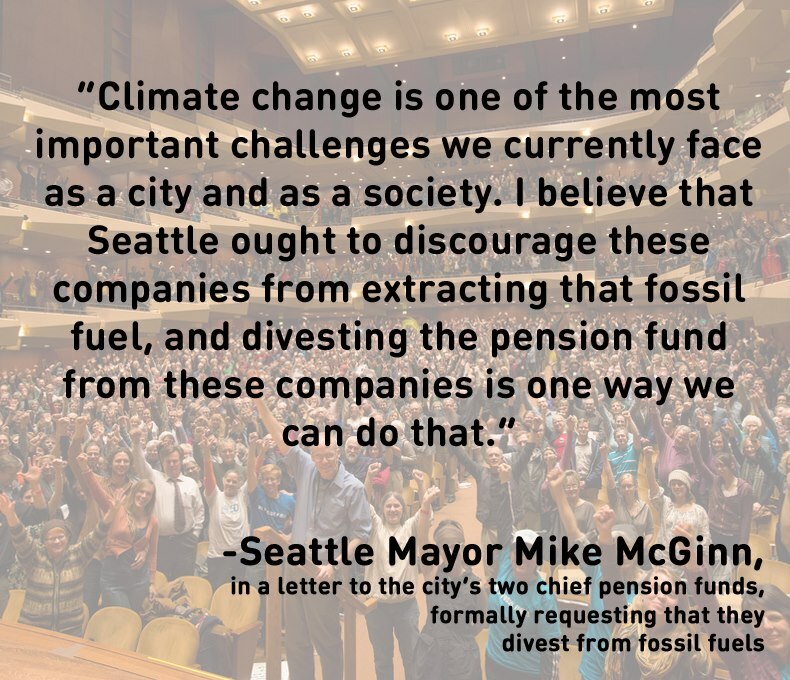 1) Seattle is the first city to join the divestment movement, showing that this is an issue that any individual can take a stand on–not just students. 2) Since this is the largest fund to be divested, a precedent has been set. This is the first portfolio valued at over $1 billion to consider divestment, and this will show that it is also feasible for large university endowments to divest. 3) A politician is taking a stand on climate change and drawing the line. Mayor McGinn is a leader, and I hope that he inspires many others to follow.